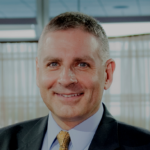 A small consulting firm specializing in Oracle Database technology, owned and operated by Sean Francis. My skills, knowledge and experience have been acquired through working with multiple versions of the Oracle Database, on multiple platforms and across many different industries. I am a strong proponent of standardization, automation, compliance and security, supplemented with detailed documentation. In other words, doing it properly! My career success is based upon being professional, curious, resilient and diligently maintaining my technical currency through training, research, practice and industry certifications. I am especially motivated by a challenge and enjoy sharing knowledge through collaboration and leading by example. Big consulting comes with a sales person, sales pitch, project manager, consultants, lead times, overheads, minimum spend and the fees to match. That’s fine if that’s what you want, but that’s not always appropriate or cost effective. Alternatively, I will give you straight answers to straight questions, tell you what you need to know and just get the job done with as little fuss as we can get away with. If you have some database challenges and feel I may be the right person to help you, please get in touch here. After graduating with an Honors Degree in Computer Science from De Montfort University (Leicester, UK), I initially started out as a programmer. Yikes! My second job out of college was as an Information Center Analyst which involved general IT infrastructure support. Within a year, I was chosen to support my then employer’s Business Process Re-engineering project, which was undertaken by consultants from Oracle Corporation UK. The role required extensive knowledge of the Oracle Database and the Oracle CASE tools, neither of which I had at the time. Over the next several months I was sent on multiple Oracle training courses and thus, an Oracle career was born. What a lucky break! My Oracle Database experience covers Oracle Version 6 up to and including Oracle Database 12c Release 2. I have also worked on practically every platform Oracle has ever supported. I am a long time supporter of Oracle Database Administration Certification. I hold Oracle Certified Professional (OCP) DBA credentials for Oracle Database 12c Release 1 and all prior Oracle Database versions back to Oracle7.3 inclusive. Over the years I have also worked with several other database systems including SQL Server, MySQL, Sybase, IDMS/IDMS(X) and several PC based database systems. I am deeply committed to my specialty. If you mention the word database you’ll usually have my attention. “Nu” comes from the musical genius the world knows as Gary Numan. 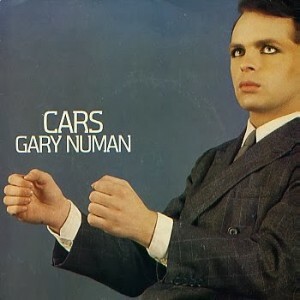 Many will only know of Numan through his massive worldwide 1979 hit single, Cars. However, there’s so much more to his innovative, pioneering and influential career which is still going strong. His 2017 album Savage (Songs From A Broken World) reached #1 in the official UK indie album chart and #2 in the official UK album chart. I’ve seen him play live over 100 times! “Dais” comes from the lyrics of a song called Chessboards by my favorite band, Killing Joke. It means ‘a raised platform’ and has an unusual spelling which I quite like. The song is taken from their 1986 album, Brighter Than A Thousand Suns, which is absolutely epic! 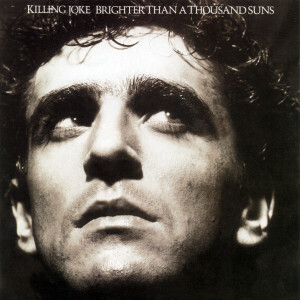 Killing Joke continue to be a massive influence on the music industry and have also enjoyed a prolonged career of excellence. I too have seen them play live many times. Their 2015 album Pylon was just brilliant. Both these artists are incredibly talented, pioneering and influential. If you like your music edgy, dark and intense, check ’em out. You’re welcome!